Hide deals from seller "Comprido Brazilian Jiu-Jitsu"
Click ‘Get It’ and select Kids option, Teen option or Adult option. Limit 1 per person. Valid on 1 month of unlimited classes. All classes last 45 minutes and may be taken back-to-back. Waiver required. Children and teens must bring valid school ID and be accompanied by parent or guardian. Adults and teens may mix and match MMA and jiu-jitsu classes. Schedule available on website. Promotional value expires 365 days after purchase. $56 for one month of unlimited anti-bullying jiu-jitsu classes for kids ages 5-12 ($75 value). 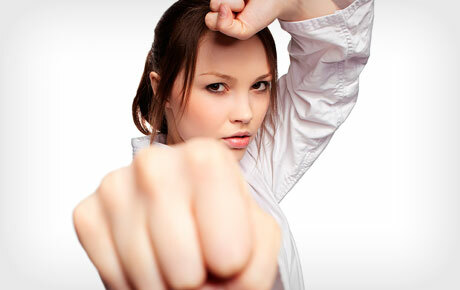 $75 for one month of unlimited MMA or jiu-jitsu classes for teens ($100 value). $112 for one month of unlimited MMA or jiu-jitsu classes for adults ($150 value). Owners Rodrigo Comprido Medieros and Jonatas Novaes boast multiple championship titles in jiu-jitsu. They recently opened this martial arts academy to bring their experience and expertise to the community. Medieros has trained a number of UFC stars, including former heavyweight UFC Champion Brock Lesnar, and his training techniques ensure you will learn proper form while having fun. Martial arts academy located in Bloomingdale’s Stratford Square Mall.